Today, managers should play different roles to do management task and subsequently they need different skills. Prioritizing skills in management positions is one of challenges in top management especially in physical education offices. The purpose of this research was ranking the managers based on their skills in offices of physical education in Mazandaran province. Research method was descriptive-survey and practical in purpose. The statistical population consists of 18 experts (masters, managers) in offices of youth and sport in Mazandaran province studied in order to be ranked based on their conceptual, human and technical skills. Data analysis is carried out using FMADM method (FAHP technique). Research result suggests that in conceptual skill, the role of strategic and long term objectives and also awareness of rules and regulations, in human skill effective communication and in technical skill delegation of authority have the highest priorities respectively. Planning based on above said results may increase effectiveness and efficiency in related organizations. Ahmadi, M. (2011). Fundamentals of organization and management (General Management). (2th ed.). Sari-Iran: Pajoheshhaye Farhangi Publication. Afshari, M., Honari, H., Qafoori, F, (2010). Examining the triplet managerial skills (technical, human, conceptual) of managers in physical education organizations in state universities in Iran. A paper presented in 7th international congress of physical education and sports sciences.Tehran, Iran. Afshari, M., Honari, H., Qafouri, F., Jabari, N. (2012a). Prioritizing managerial skills based on Katz’s theory in physical education offices of universities in Iran. World Applied Sciences Journal, 20 (3), 388-394. Afshari, M., Honari, H., Kargar, G., Naghshbandi, S., Jabari, N. (2012b). Applying Analytic Hierarchy Process for analyzing the role of managerial skills in developing of organization learning in physical education organization: A conceptual model. International Journal of Sports Science and Engineering, 4(6), 248-256. Afshari, M., Shahhosseini, A., Kosaripoor, M., Molajafari, S. (2013). The role of managerial skills in developing characteristics of learning organization in physical education organization. International Journal of Sport Studies, 3 (4), 398-405. Goodarzi, M., (2002). The framework of managerial skills (technical, human, conceptual) in management of physical education organization in Iran. A dissertation presented in partial fulfillment of the requirements for the degree of doctrine in sport management. unpublished. Tarbiat Modares University, Tehran, Iran. Huusko, L. (2006). The lack of skills: an obstacle in teamwork. Journal of team performance management, 12(1/2), 5-16. Jerez Gomez, P., Cespedeslorente, J., & Valle Cabrera, R. (2005). Organizational learning capability: A personal of measurement. Journal of business research, 58, 715-725. Jiang, X & li, Y. (2008). The relationship between Organizational learning and firms financial performance in strategic alliances: a contingency approach. Journal of World Business, (43), 365-379. Katz, R.L. (1991). Skills of an effective administer.Business classic fifteen key concepts for managerial success. Harvard Business Review. Katz, R.L. (1974). Skill of an effective administrator. Harvard Business Review. Martina, H. Karol,TT. (1994). Considering human resource management when developing a project – oriented company: case study of a telecommunication company. Internatonal Journal of project management, 28, 361-369. Mehrara,A.,Razaghi,M.E.,Moosavi,S.J.,Hajizadeh,M. (2012). Study of Knowledge Management Efficiency on Employees Performance in Kerman Sport and Youth Offices. Journal of Basic and Applied Scientific Research, 2 (10), 10656-10662. Mirsepassi, N. (1991). necessary of management skill, management studies. Faculty of Management and Accounting, Allameh Tabatabai University, (8), 23. Naderian, M.& Amirhosseini, S.E. (2006). Human skills for sport managers (indicators and criteria from managers' perspective). journal of movement science & sport, (2), 87. Pant, I. & Barondi,B. (2008). Project management education. The human skills imperative. International journal of project management , 1 (2), 124-128. Peterson, T.D. (2004). The ongoing legacy of R.L. Katz . Journal of management Decision , 42 (10). Razaghi,M.E.,Moosavi,S.J.,Safania,A.m. (2013a).Successful knowledge management establishment in sport organizations with an emphasis on Iranian localization. International Journal of Sport Studies, 3 (1), 30-37. Razaghi, M.E., Moosavi, S.J., Safania, A.M., Dousti, M. (2013b). Presentation of a suitable model for knowledge management establishment in sport organizations: Delphi Classic Method. Annals of Applied Sport Science,1(2), 33-41. Robbins, P., & Decenzo, D.D.(1998). Fundamentals of management. Essential concepts and applications. Prentice hallHnc. Reham A.E., Larry, G., Gavin, L.F. (2009). A strategic skill based model of supplier integration and its effect on supply management performance. Industrial marketing management , 38, 925- 936. Sambasivan, M., Mohani, A., Yuzliani Y. (2009). Impact of personal and management skills of entrepreneurs on venture performance in Malaysia: opportunity recognition skills as a mediating factor. Technovation , 29 (11), 798-805. Seng, P., Kleiner, C. R and Roth, G. (1999). The Dance of change. London/ Nicholas Barrel Publishing. Ltd.
ISNAD Seyedinejat, Seyedeh , Razaghi, Mohammad , Dousti, Morteza . "Prioritizing Managerial Skills Based on Katz’s Theory Cast study: the managers of Sports and Youth in Mazandaran Province". 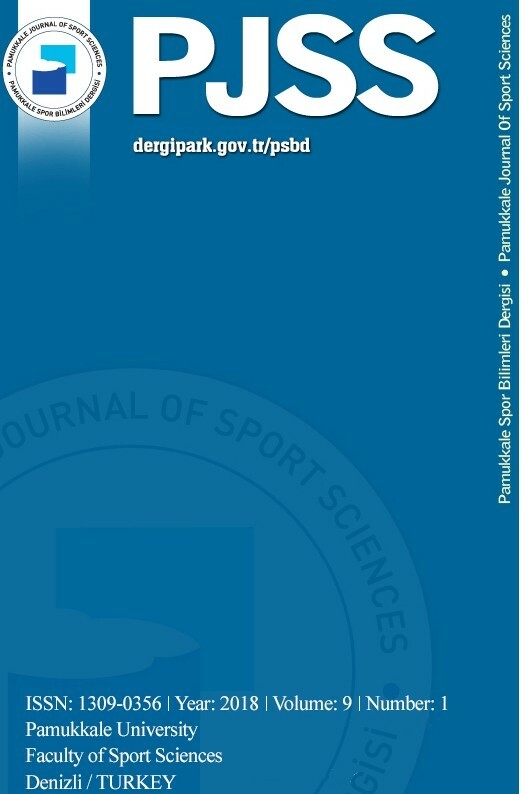 Pamukkale Journal of Sport Sciences 5 / 1 (January 2014): 33-47.